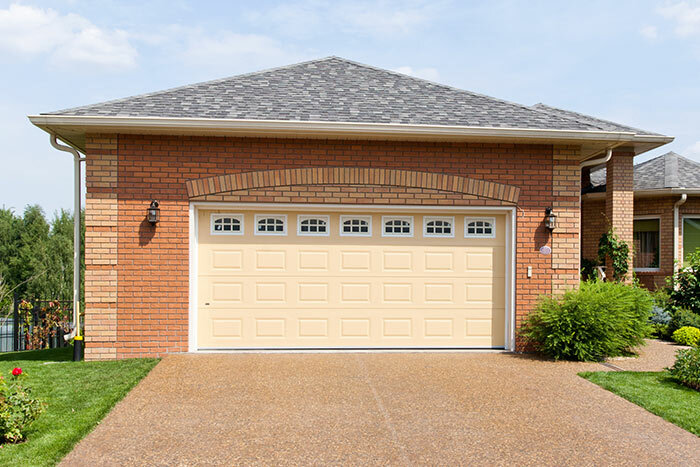 Whether you’re looking to have a new garage door installed or you need expert garage door repairs, the professionals at Aero Garage Door are here to serve you. 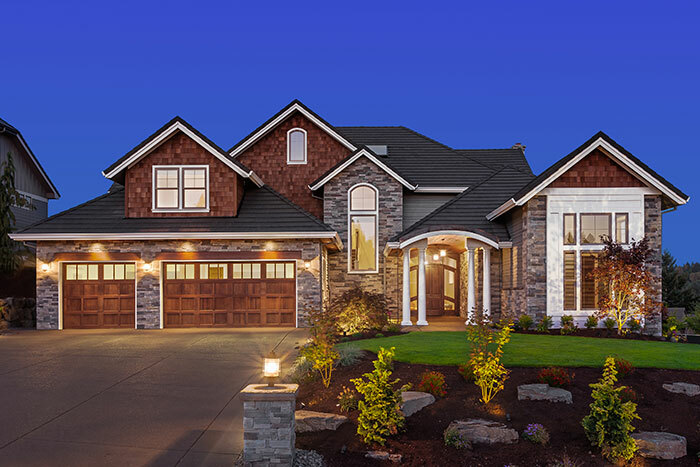 We have over 30 years of experience in the industry and we’ve provided top-quality garage door installations and repairs for countless homeowners in the Washington DC Metro, and throughout Northern Virginia and Maryland. We carry a huge inventory of top-brand garage doors in many styles and colors to choose from. We also offer exceptional custom-designed doors that can be personalized to fit your tastes and preferences. Is your garage door simply not working right? We can diagnose and resolve the issue quickly and affordably. We offer competitive pricing, and we stand behind all our work. 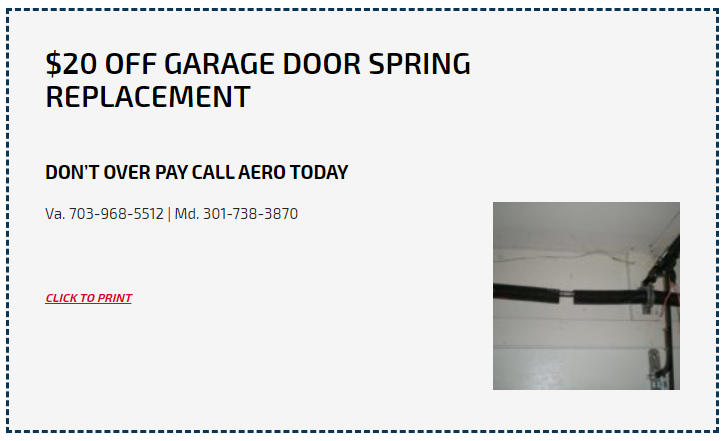 At Aero Garage Door, we believe quality work and professional communication shouldn’t cost extra. Our team of seasoned technicians has over 30 years of experience, and we’ve built a reputation throughout Virginia and Maryland for delivering the highest caliber of service. When you call us, you can expect a prompt reply, timely arrivals, and an accurate estimate of our work. We never charge hidden fees and we won’t upsell you on maintenance you don’t need. 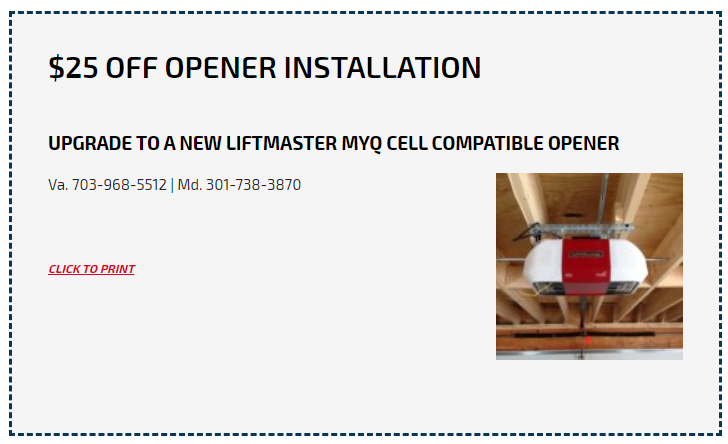 We carry a huge inventory of quality garage door systems and we can custom design and fabricate a door and opener on request. 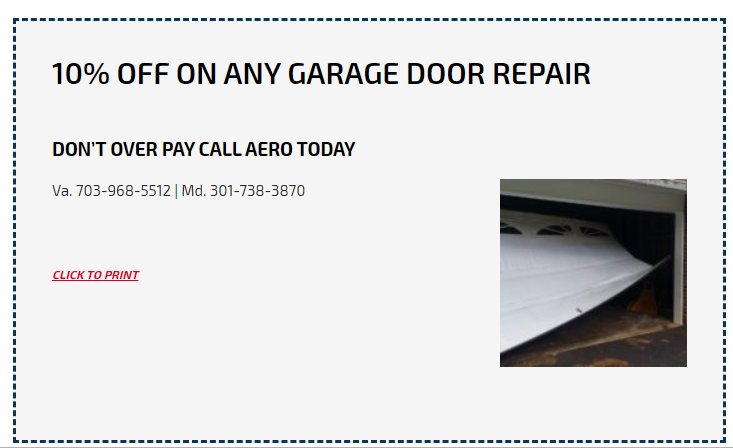 When it comes to garage door repairs and installations, Aero Garage Door is your first, best choice. When you want a seamless blend of beauty and innovation, there’s no better choice than a custom-designed garage door from Aero Garage Door. We offer a wide range of materials to choose from including steel, copper, aluminum and more. 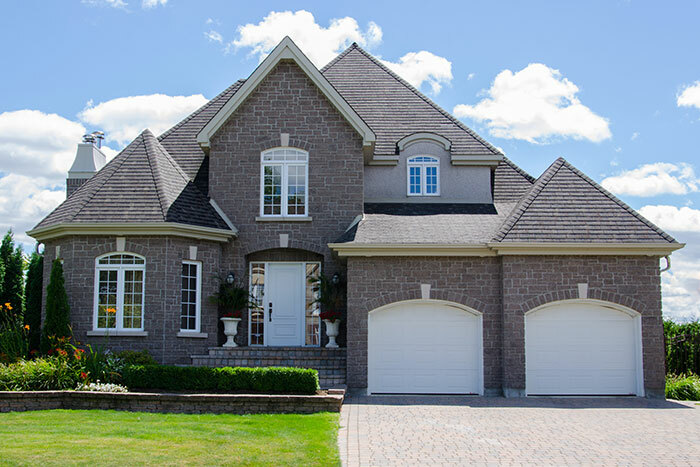 We can fabricate a garage door that will give your home a look you’ll love, whether you’d prefer a traditional carriage-house look or an all-glass modern-style door, we’ll ensure you’re more than satisfied with our work. All our doors come standard with all needed safety features and have a rock-solid warranty for your peace of mind. Our technicians will ensure the installation process goes smoothly, and we’re happy to answer all your questions or make suggestions for a design based on your preferences and your budget. Give your garage doors a look that’s uniquely you, when you call Aero Garage Door today. 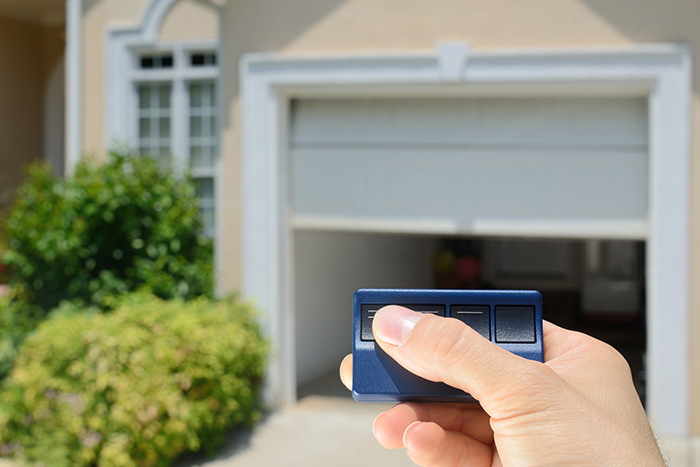 We all know the feeling of panic when your garage door refuses to open or opens partially and then stalls. If these issues sound familiar, then it’s time to call in a repair team that can diagnose and resolve the problem quickly and affordably. At Aero Garage Door, we have over 30 years of experience servicing all makes and models of garage doors. Whether your garage door has a faulty spring, a bad motor, or has fallen off its track, we’ll get the issue resolved. We’re fully licensed and insured, and we offer affordable repairs that won’t break the bank. We stand behind all our work with a satisfaction guarantee, and we’re happy to accommodate special requests. Give your garage door the lift it needs when you call Aero Garage Doors. We’ll strive to meet your needs and exceed your expectations.